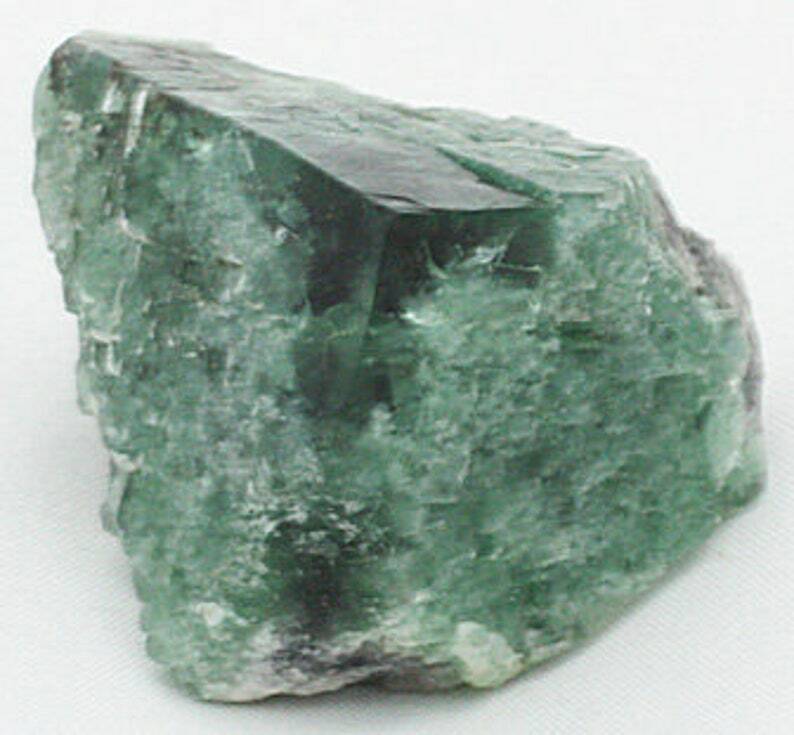 A green crystal of Fluorite from the Diana Maria Mine (Sutcliff Vein), Rogerley Quarry, Weardale, County Durham, England. Fluoresces neon blue under both long and short-wave UV light. Measures 3.9 x 3.5 x 3.1 centimeters, 1.53 x 1.37 x 1.2 inches. Zuni Bear, Root Beer Fluorite with Celestite, Ohio - Fluorescent!